Black t-shirt with print on two sides. Just Glamorous fit 100% underlines my image !! 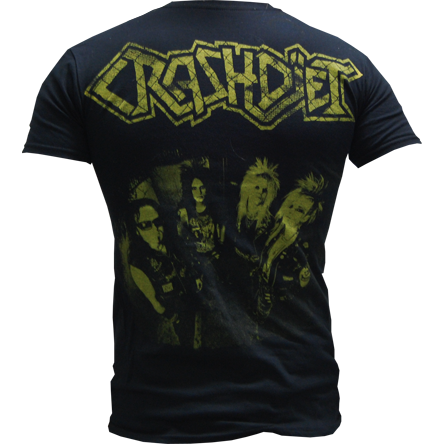 Crashdiet T shirts are the best in my wardrobe!!! CRASHDIET ROCKS SLEAZE DEEP TO THE BONE !!!! W8ING ΥΟU IN GREECE!!!! FEEL GOOD CHEMICAL!! 10000% SATISFIED!!! awesome shirt, great quality, size and print, fast shipping Rock On! 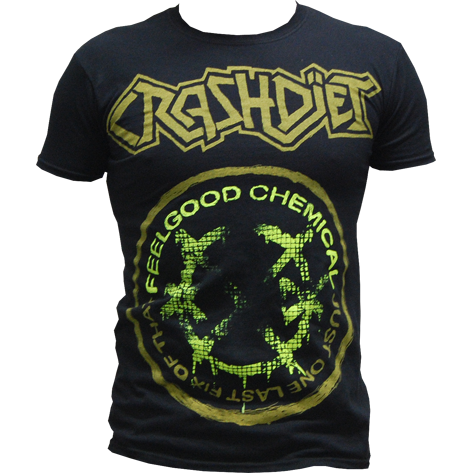 Another most original, great fitted shirt to add to my collection of crashdiet shirts. If you guys keep making them, I'll keep buying them!! See all 15 customer reviews.